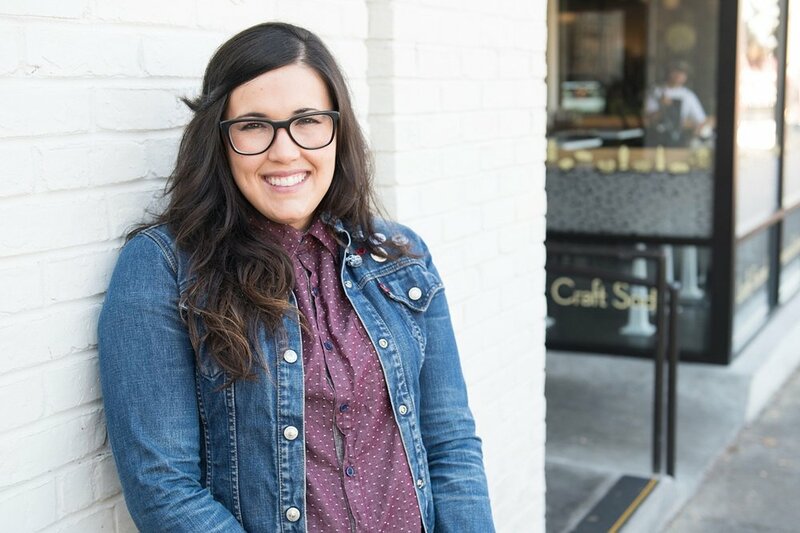 Style Blueprint recently stopped by to chat with Grilled Cheeserie founder, Crystal about how she started who food truck, what motivated her, and how the brand has grown over the years. "What do you think is behind The Grilled Cheeserie’s continued popularity? Before we opened, we weren’t sure if anyone would care. We used social media to communicate with our customers, and before we opened the day after Thanksgiving seven years ago, we had 1,000 Twitter followers. Actually having to do it was the hard part. I realized I didn’t know how to serve 200 people — and we made mistakes. But we reminded people there is a small business behind this hyped-up thing, and we asked for their forgiveness as we figured out what we were doing. This only works when you communicate with customers. They gave us such grace in the beginning and have only continued supporting us. It quickly became bigger than just a sandwich. I have always felt so grateful and think people who know me can sense that. We are continuing to learn and evolve. There is no template on how to start and run this business. My husband is more than my equal partner, he is the reason we make money. He handles the numbers and business, and our brains work so differently. We can completely clash or create so well together. While he is more factual, I am more feelings and emotions."